Sprekelia produces unusual flowers on short, red stems. Pricing is per package and per sprekelia variety (quantity discounts apply). 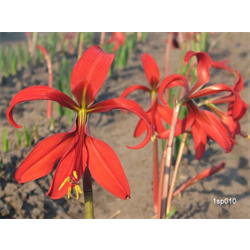 Order these sprekelia lily bulbs for sale online today!